Blue Bend B&B - Beacon Bay Accommodation. This stylish 4 star accommodation boasts wonderful seaviews and warm hospitality. 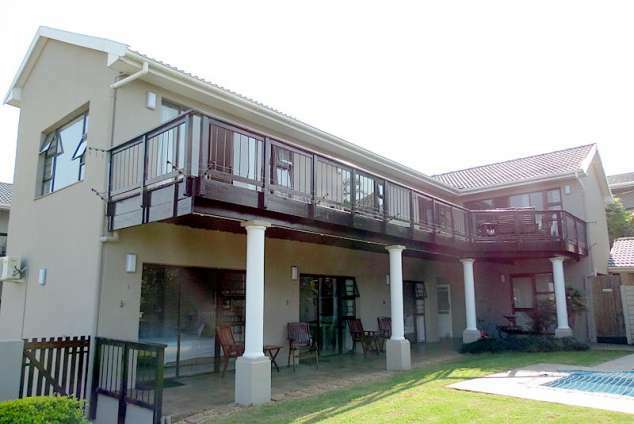 We offer superior accommodation with seperate entrances and private decks in the upmarket area of Blue Bend. Just a few minutes walk from the Nahoon beach and river, yet a short distance away from the business and shopping centres of Beacon Bay. We are close to all major thoroughfares. Writing desks, ceiling fans, fridges, tea and coffee stations, hairdryers. Take Settlers Road into East London. At the traffic circle in Eat London, continue straight and it becomes Fleet Street. Continue along Fleet Street, follow the N2 signs until you reach Fitzpatrick Road where you turn left - continue to N2. Take the Beacon Bay off ramp (M7). Cross over Batting bridge. Turn right into Beaconhurst Drive. Keep going straight for about 2 km's. Turn right into Hillcrest Road at the Engen garage. In the open space in front of the garage are Blue Bend B&B direction signs. Turn right into Blue Bend Place and Blue Bend B&B is number 10. 48050 page views since 07 Oct, 2008. Last updated on 13 Jan, 2019.